One day to operate FPGA board and high speed JESD204B AD / DA. Introducing FPGA design, Circuit design, IP core, IBIS-AMI Simulation,Test. FPGA development environment and writes it on the evaluation board. Gigafirm is an Alliance member company of Analog Devices. We strongly support your embedded development of JESD 204B converter. This page provides a report we evaluated on the ADI device evaluation board. Implemented Zynq MPSOC BERT test. This product is used when evaluating Synopsys' HAPS - Trak 3. It can not be used on other than HAPS. 2017.12.13　MGB-FF was introduced to samtec. Please check the HAPS tab page for details. 2017.12.06 60GHz-Module was introduced to EETIMES. Participants can take home to the company. I will not lose. 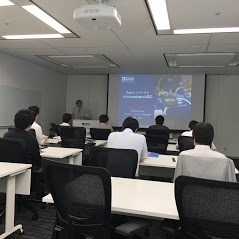 Please join us..
Takeshiba Office, Analog Devices, Inc.
VIVAD _ 10 Gbps BERT is error-free!! checked it up to 12.5 Gbps!! Even if two spacers are arranged, high-speed communication is not affected. It is an extension board that increases the height of FMC (HPC) by 20 mm or more. The FMC board can be set to a height that does not interfere with the FPGA board FAN. One item is convenient if there is one. We will sell it from March 2017. Seven points in the JESD204B converter board development. Presenter: Mr. Yamazaki Gigafirm Co., Ltd. Announcement of the seminar　/　Sponsored by Gigafirm Co., Ltd.
We have to allow the development of GIGASAMPLE HAPS. You can operate the AD9680 1GSPS converter. Use the HAPS-DX and FMCADAPTER. 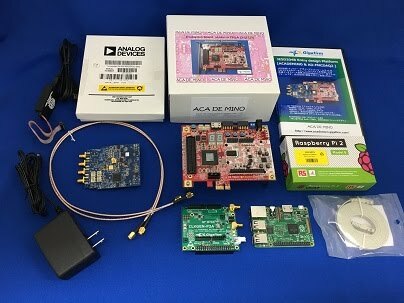 The development kits for wireless signal processing. GigaConnect 3 (GC3) is the FMC connector high-speed serial measurement for the test fixture. It can be converted transmission and reception of high-speed serial to the SMA. You can measure the eye pattern. You do not want to add another one DA in FMC? It can be installed two of JESD204B board in one of the FMC connector. 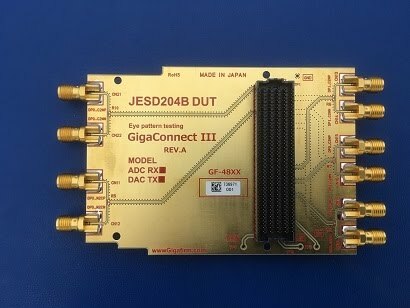 Gigaconnect will extend the JESD204B evaluation. Two implement the AD9625 to FMC. In addition we were able to add the AD9144. the new generation of ADC / DAC high-frequency technology. 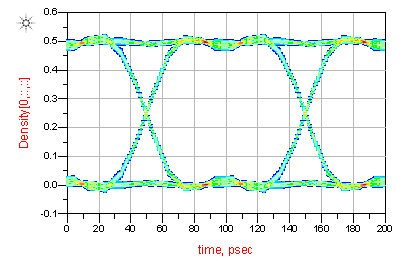 Analog Devices Inc., Giga Farm Co., Ltd.
JESD204B TEST SIGNAL: Example of the waveform display and fft in MATLAB. JESD204B automatic measurement and EYE pattern measurement demo. 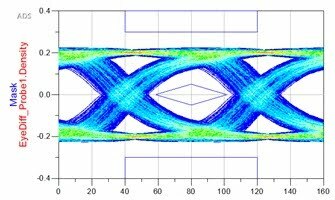 We will support the transmission line analysis.KEYSIGHT ADS. We will exhibit HT3 product to Synopsys booth. The demonstration by GIGBOY-HT3-DVI board. He is very cute, but is good at FULL-HD output demo. GIGACONNECT is converted to high-speed serial SMA of FMC. Can be measured easily if you use the GIGACONNECT. We support the option board development for HAPS®. Description: IBIS analysis, electromagnetic field analysis, design case. We support the HAPS board development. I were analyzed DAC between the FPGA. Analysis tools ADS momentum. I have to simulate the delay of the substrate.Please look by all means. 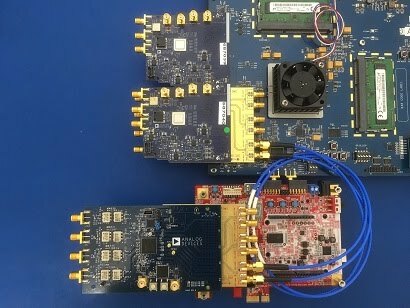 10-Gbps waveform measurement of Xilinx Kintex-7 Rocketio. A measuring instrument uses Agilent DSAX93204A. The GF-1xx（FMC） board can measure Rocketio of FMC easily. 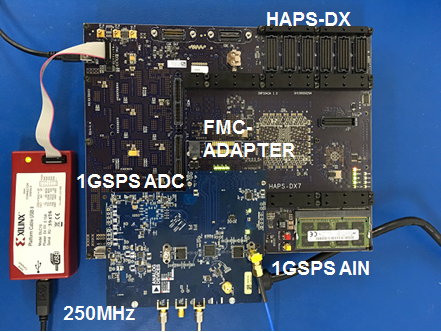 GF1 is a HIGH PERFORMANCE TEST POINT FMC board. uses a low dielectric constant material. SI was analyzed by ADS. GF-1 is measurement test equipment of FMC connector I/F. Please check a board page. ・High frequency board development consulting support. ・Free external specification document creation service. ・System specification, board requirement specification document creation. ・Third party management, third party verification. ・SI test coupon proposal, verification. 10.3125G / 6.5G,5G,2.5G and FR4, FR5. ・Design-specifications creation, an FPGA basic design. An FPGA board, interface board development.